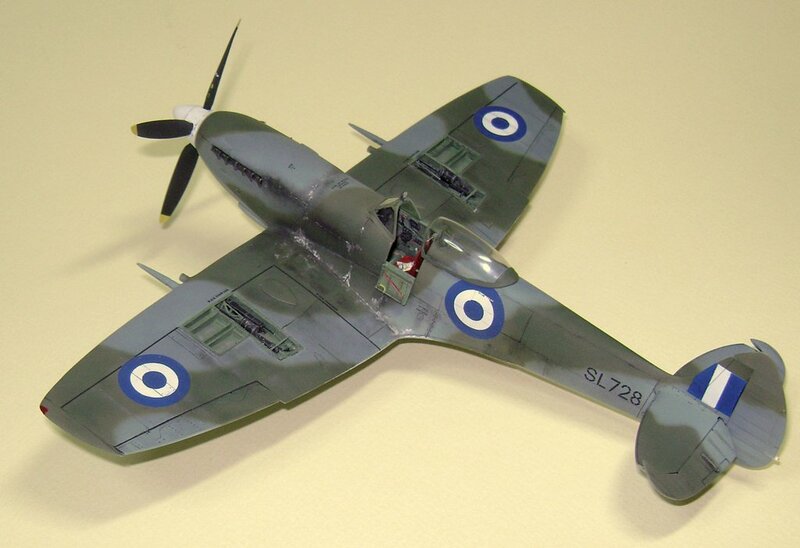 This is my new model of Spitfire Mk XVI in 1/48 scale. 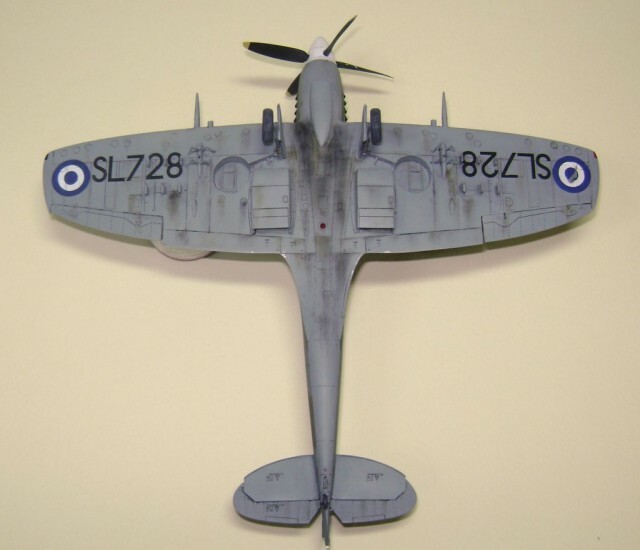 It depicts a plane of Greek Air Force during the civil war around 1949, of the many Spitfires that RAF suplied to Greece. I used the 1/48 scale Tamiya Spitfire Mk. Vb kit as a basis and turned it to a Mk XVIe. A wealth of resin parts was used in the process. 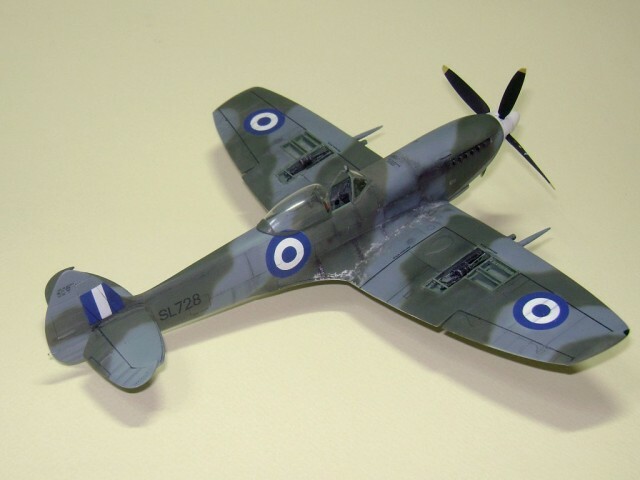 The low-back fuselage and the longer nose were produced using Aeroclub resin conversion set. I also used replacement resin exhausts, wheels, guns, control surfaces, propeller and cockpit door from Ultracast. The vacuform canopy came from Falcon. The armament set came from CMK. The latter also “solved” the problem of converting the wing to the “E” type. 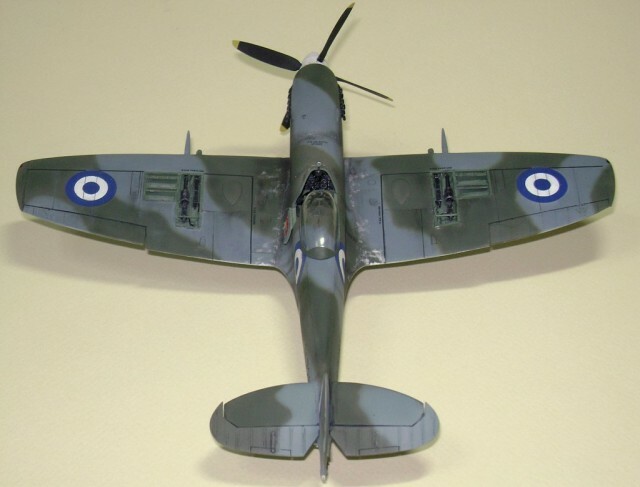 My Spitfire was painted in the Day fighter scheme of Dark Green and Ocean Grey over Medium Sea Grey, using Xtracolour enamel paints. All markings were painted using Montex masks, with the exception of a serial number.